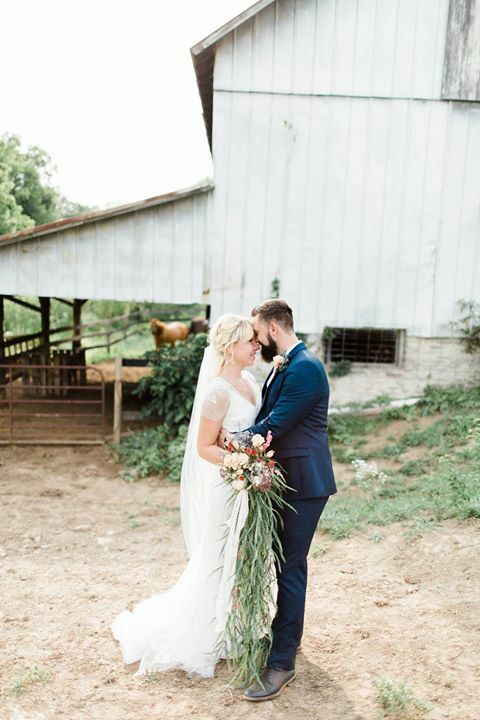 In 2017, we opened the farm up as the destination for your wedding or celebration. Here your guests will have more than just a memory, but an experience while they are at Harvest Hills. Just a few minutes outside the city of Delaware, you and your guests will feel as though you have travelled into the peace and serenity of the country, only without the drive. Rolling hills, grassy fields, trees, and wildflowers create a beautiful natural setting only Harvest Hills can offer. Currently, the "Gathering Place" is our main venue that you and your loved ones will not forget. Originally the home to show horses, the Gathering Place has now been transformed to a unique combination of interesting features that are full of rustic history and beauty with a touch of an industrial feel. Sparkling lights, historic architecture and character like none other, this venue has so many options for casual or formal dinners, depending on your mood. Every turn is something new and unexpected. Mingle among the main area of the Gathering place, able to seat up to 300, or step into the Twilight Patio, full of sparkle and texture. Enjoy a fire with friends, feed our friendly animals or venture into the field for lawn games and fun. Come relax by the play area that is sure to keep your little ones happy as they enjoy the beauty of farm life. Want to have a hayride or be whisked away in a horse drawn carriage to complete the fairytale experience? We can do that too. The options are endless as you dream your day up just as you want it. As a working farm, you and your guests can enjoy the aspects that true farming offers. Hay grown right here at Harvest Hills offers seating for your guests, animals that were born and raised here line the courtyard of the barn. Our fresh-cut wildflowers will help make your tables beautiful and authentic, while guests can take home honey and pumpkins that are products of the land. Opening in 2018, we added another unique settings for you to enjoy. The "Brick Barn" was an authentic bustling dairy barn in its day, with the original industrial architecture of brick walls from over 80 years ago... if only the walls could speak. This additional space has an amazing effect on the overall flow of your event. Use it to host the food and drinks for your event, out of the way of everything else. It is also especially unique for an indoor ceremony, an intimate rehearsal dinner, or be used as a separate activity space. 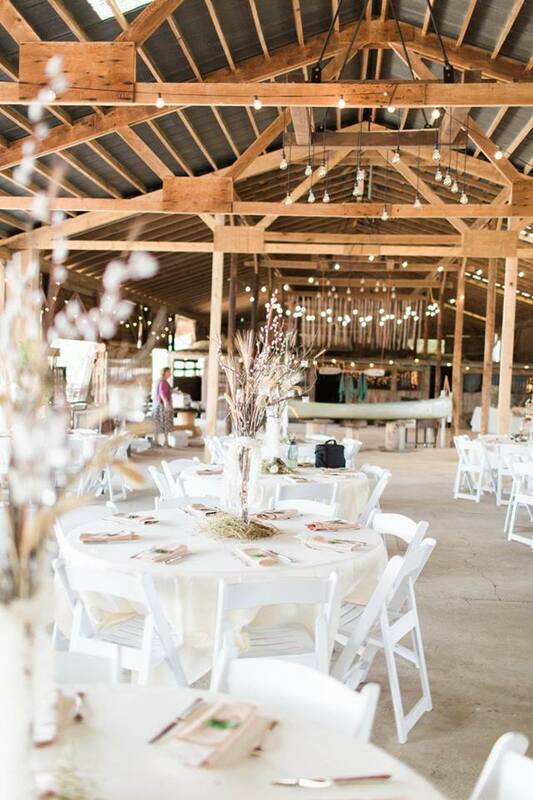 There’s really no limits to what this additional space can do and we cannot help but notice how it keeps your guests up and moving, mingling with one another and enjoying more of farm than before. If you are looking for a place to hold an event of a lifetime, you will not need to look any further. With our very own wedding designer and coordinator, we can help make your party or dream day come true. Contact us to come tour the property, ask any questions or book your date. 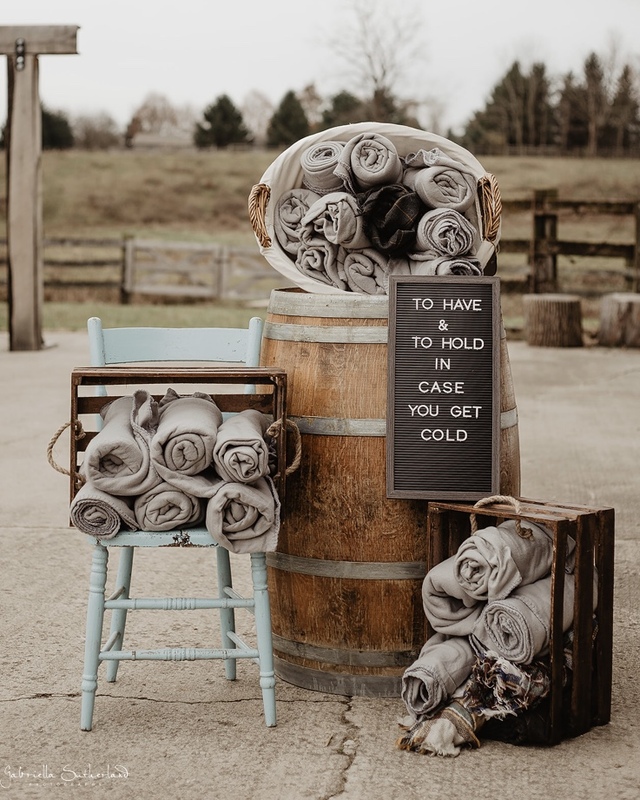 Curious what's included when you have a wedding here at the Farm at Harvest Hills? Please feel free to click the link below to schedule a time to tour our farm and wedding venues.